On July 3rd, renowned dance music artist “Little” Louie Vega is giving fans the opportunity to take part in the celebration of his new album, Louie Vega Starring… 28 Artists, 28 Songs. Hosted by NYC-based Dance Ritual, the party will take place on a boat departing from Circle Line Pier. The boatride will last until midnight, with an afterparty at Meridian 23 until 4:00am. Check out the Vega Records website to browse through all of his music along with the rest of the Vega Records catalog. 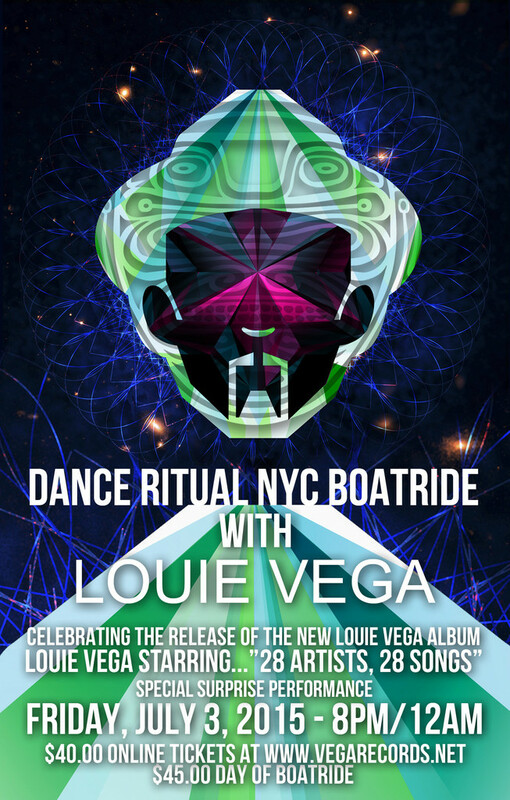 Kick off your 4th of July weekend right with Louie Vega’s annual Dance Ritual NYC Boatride!